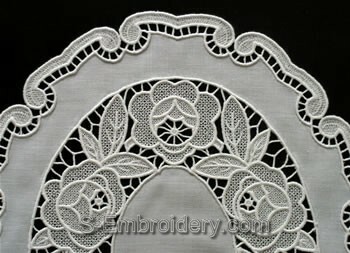 A set of 11 freestanding table lace machine embroidery designs. 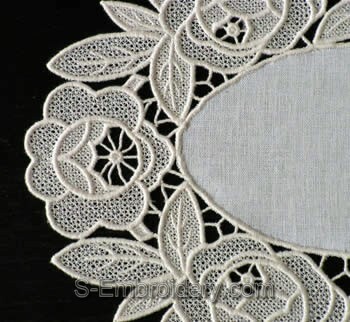 With this generous set will be able to produce elegant freestanding lace doilies, table top or freestanding lace place mats. 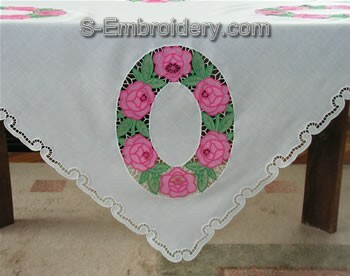 You could also use some of the designs in this set to decorate pillow cases or other embroidery projects. 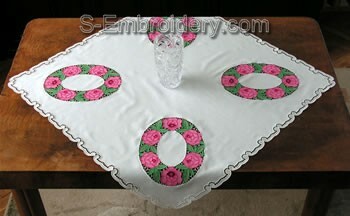 Note: Detailed images featuring the application of this set are available further down this page. 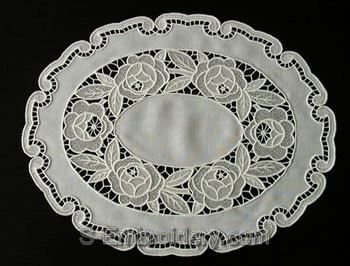 The small doily shown below is 12 x 8.7 inches (30 x 22 cm) and the larger doily/place mat - 16 x 13 inches (40.5 x 32 cm). The table top measures 37 x 37 inches (94 x 94 cm) but there is no limitation on the size - you can create it with a size of your choice. 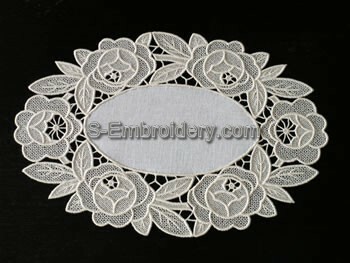 You receive 11 embroidery designs as well as design information and instructions on creating the doilies, place mats and table top which can be produced.